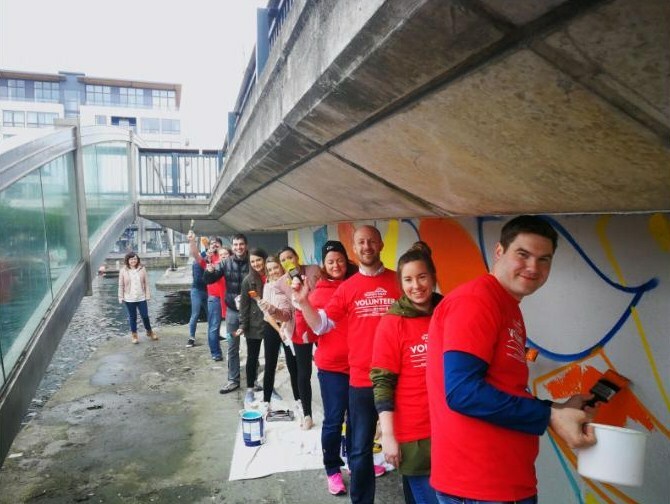 An event with ever-increasing popularity and effectiveness, the 2018 Docklands Volunteer Day saw 200 volunteers from various local business take to the streets to make a real, tangible and positive contribution to the local area. 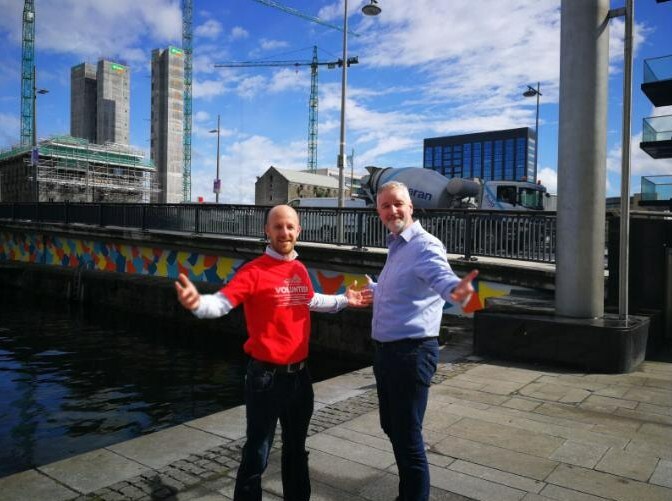 This would not have been possible without our principal sponsor AIB Docklands along with other supporters A&L Goodbody, Accenture, The CCD, The Clayton Hotel Cardiff Lane, Dublin City Council, Dublin Port, IPB Insurance, Independent Trustee Co., The Marker Hotel and Waterways Ireland. 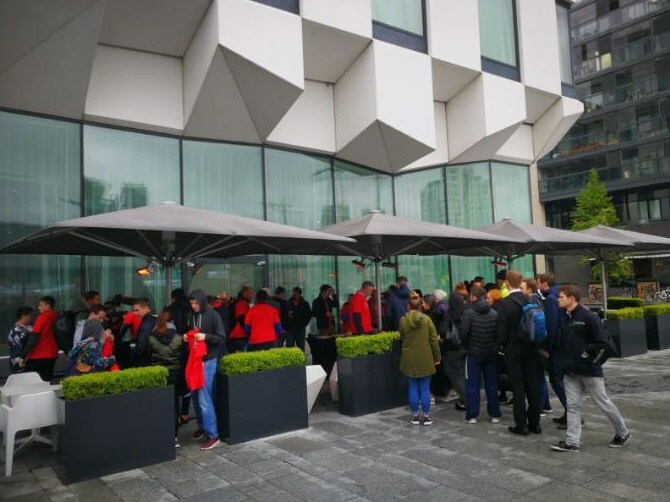 The morning of Friday the 11th of May, the volunteers gathered at The Marker Hotel in Grand Canal Square who kindly supplied tea and coffee all participants, perking up everyone who was about to do trojan work throughout the day, and were further fuelled by the generous Clayton Hotel Cardiff Lane who provided lunch in their Vertigo Bar from 12noon-1pm. Building on the work done, the 8th Annual Docklands Volunteer Day focused on an ever-expanding list of area cleaning, painting, weeding, art, planting pollinator-friendly plants as part of the All-Ireland Pollinator Plan and community engagement in line with the DBF’s policy of business engagement with the local community. 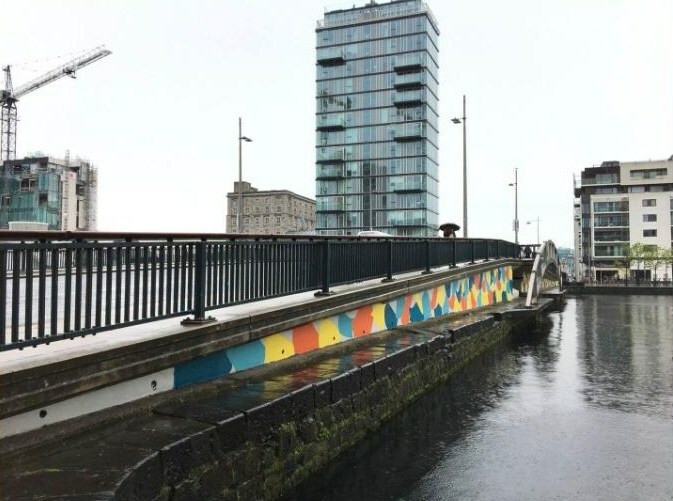 The success of the mural on the McMahon Bridge, which saw 12 months without graffiti for the first time in decades, a new more colourful mural reflecting the maritime heritage was painted onto the bridge by volunteers which will help deter graffiti reappearing. As part of participation in the All Ireland Pollinator Plan, volunteers also planted pollinator-friendly species all over Docklands to encourage our little-winged friends to do their important job. Included in the planting list are the tree pits on North Wall Quay, Chimney Park and the Planters on Grand Canal Square. Docklands Business Forum has a community engagement initiative, which put to the fore some of the tasks undertaken during the day. 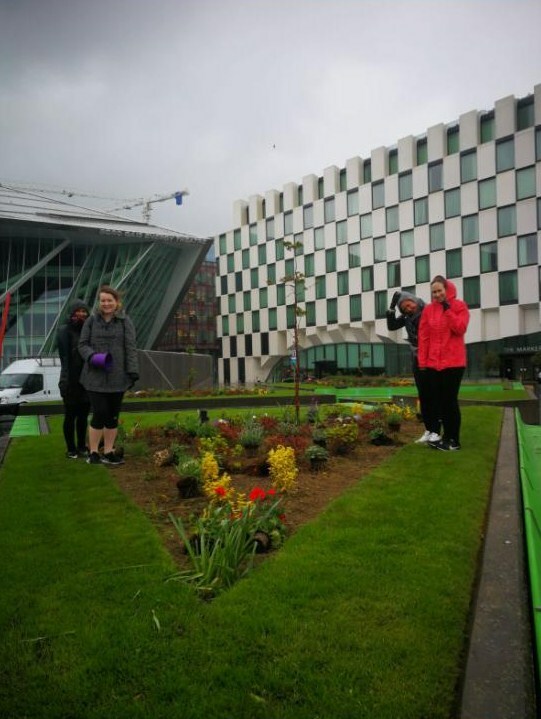 Teaming up with Waterways Ireland, the Grand Canal Basin was relieved of its flotsam, as well as another pairing between volunteers and the Shelbourne Park Residents Association to dig flowerbeds in South Dock Street Park and Playground. Volunteers also painted the playground railing at the East Wall Community Centre and the Bath Avenue Resident Association’s planters on Bath Avenue, as well as pruning overgrown gardens for the elderly and cleaning the garden for the Enable Ireland School in Sandymount.